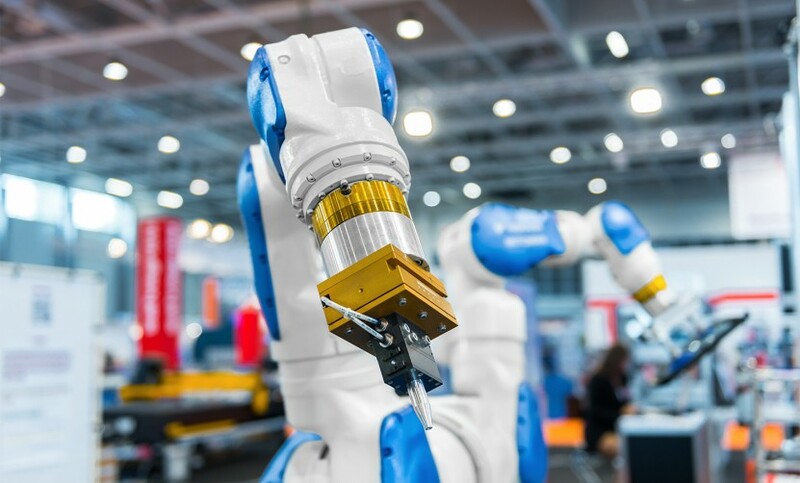 ROBOWORK has the concern to satisfy all types of businesses and individuals in the context of Industrial Robotics, in particular in the field of robotics training, technical service and differentiating products for application in robots. Headquartered in Aveiro, ROBOWORK has a training center able to ensure the best environment for its trainees, as well as a technical team with extensive experience in industrial robotics. The ROBOWORK training center is certified by DGERT, thus ensuring the best teaching practices. We have the necessary resources for a complete training in industrial robotics, regardless of your application area. All courses have a very high practical component, ensuring that the trainees at the end of the training are fully confident to work with robots. Focusing on knowledge in robotics ensures that you will be prepared to face future professional challenges, as robotics already has a strong presence in the industry and now begins to play a role in services.